Hello Player and fellow Developers. Global warming is evidently becoming an issue and we still have only one planet. So we decided to take up a worthy initative – reduce heat emission and increase the lifespan of our planet, our CPUs and our GPUs – by reducing the load the game puts on them. It might seem laughable, but as the saying goes – drop, drop, drop … and you have an ocean! Since we don’t really have a lot of bugs to fix anymore, we focused on optimizing everything we can – also as a learning how we can squeeze maximum from our game engine in our next project. Loading times have decreased considerably. So, we are working in our new project intensively. If you are interested, just click on our name under PUBLISHER (Steam store page) next to reviews and follow us. We will announce when we are ready and also plan to have intensive beta testing at some point for multi-player part. We also are finishing FRENCH localization – should be ready within next 3 weeks or so. We are working on ITALIAN as well, here I cannot give you any estimates yet. 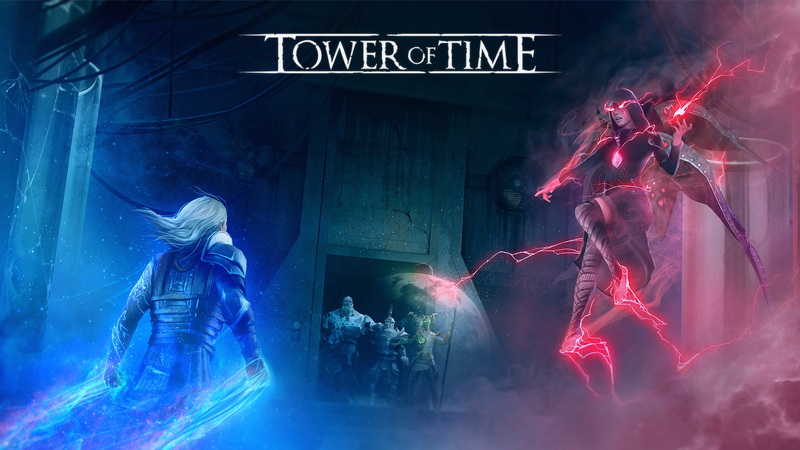 We are also working on console version of Tower of Time for PS, Xbox and Switch. With the next patch we will also introduce NG++ that will increase difficulty a bit but will allow you to skip the story and play with all champions available since the beginning. You will be able to experiment with really crazy builds. Kaela and Boron will make a short work of this crazy Mimic chest on floor 1. Hope you will enjoy playing Tower of Time.